How timing and plant selection can decrease stress on plant and person alike. 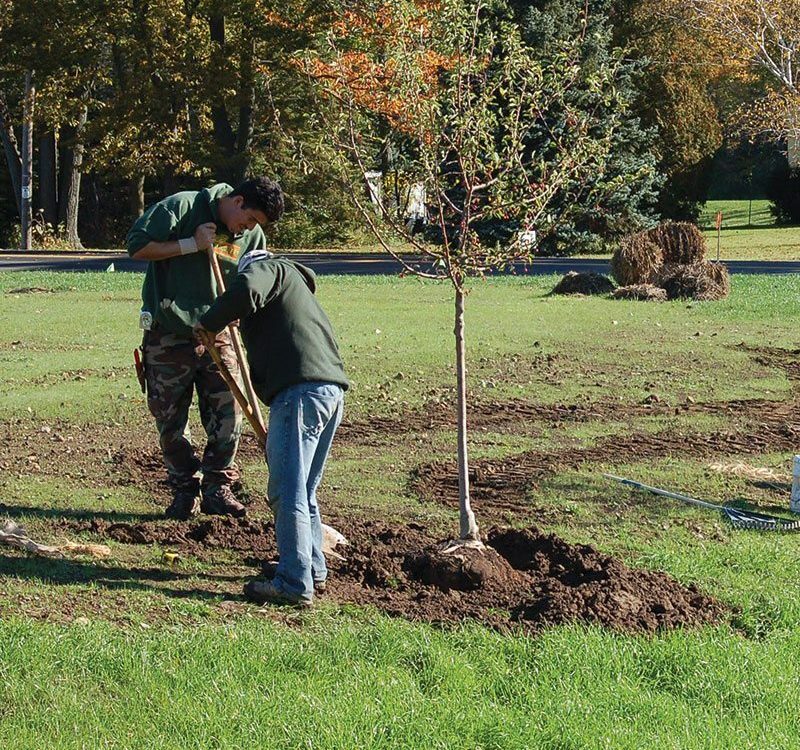 Fall is a great time for planting trees. It's a total win-win. Trees don't like to be moved, it stresses them out. 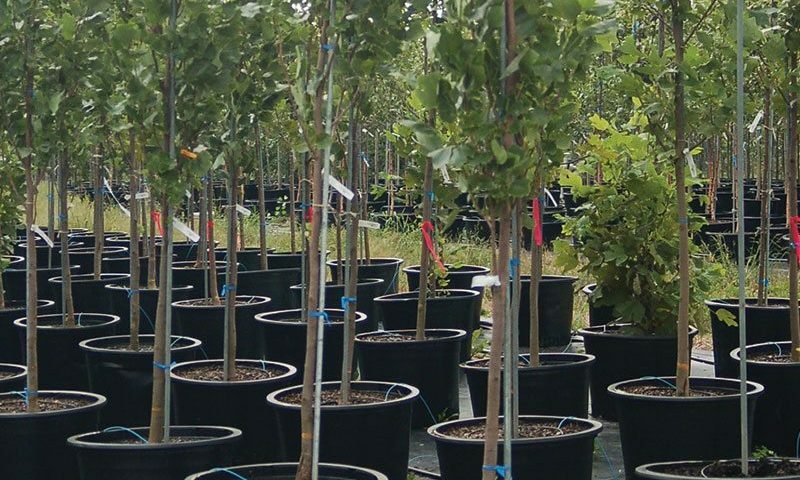 Planting container trees in fall makes the move more bearable for many tree species - especially deciduous types. For the most part, they are done growing for the season, so their water requirements are much lower than they would be for summer. 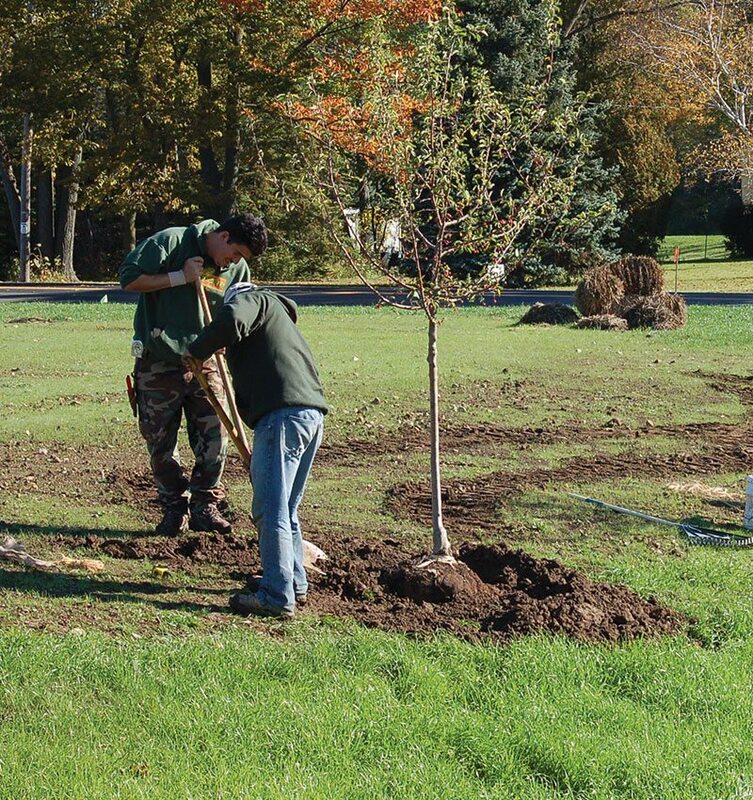 This means that you're likely have to water your tree less frequently. Also, their roots are not dormant, so they will keep rooting out into their new environment all the way up until the freeze. This results in a more established plant in spring that will require less water and observation by next summer (as compared to planting one next spring - for example). These fall principles apply to both balled and burlapped trees (B&B, aka field dug) and container-grown trees. 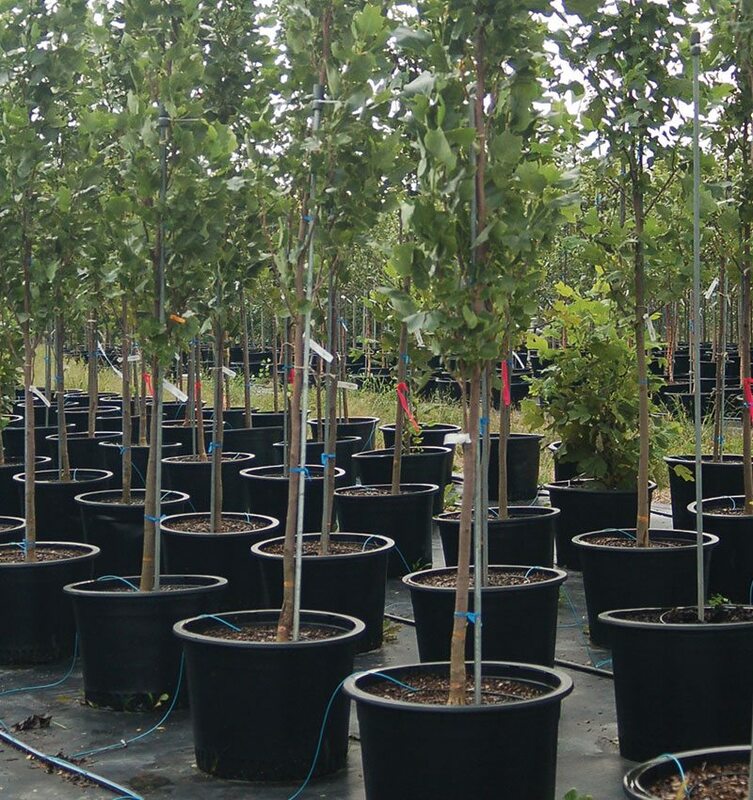 However - there is an advantage to planting container trees in fall, because they have more roots intact at the time of harvest. In many species, we often see the container grown specimen outgrow a similar field dug one. This is because the field grown transplant typically has to spend more time re-growing its root system before it can resume vigorous growth in its new location. The container plant has almost all of its roots intact - so as long as it gets enough water to establish - it can pick up right where it left off and hardly miss a beat. Not to mention container grown material is considerably lighter and more transportable than field dug trees. 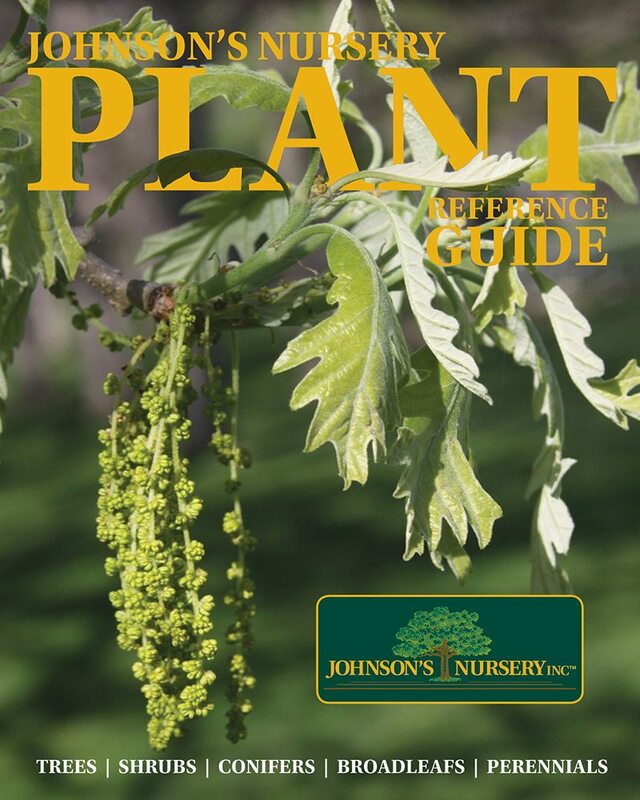 At Johnson's Nursery, we have many beautiful trees in containers. 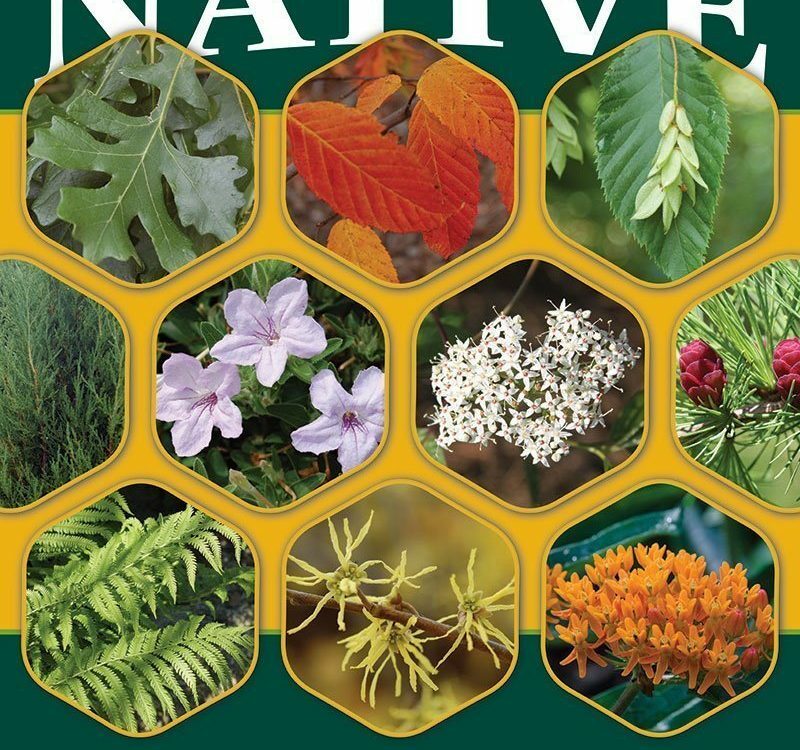 My personal favorites are the local genotype natives. 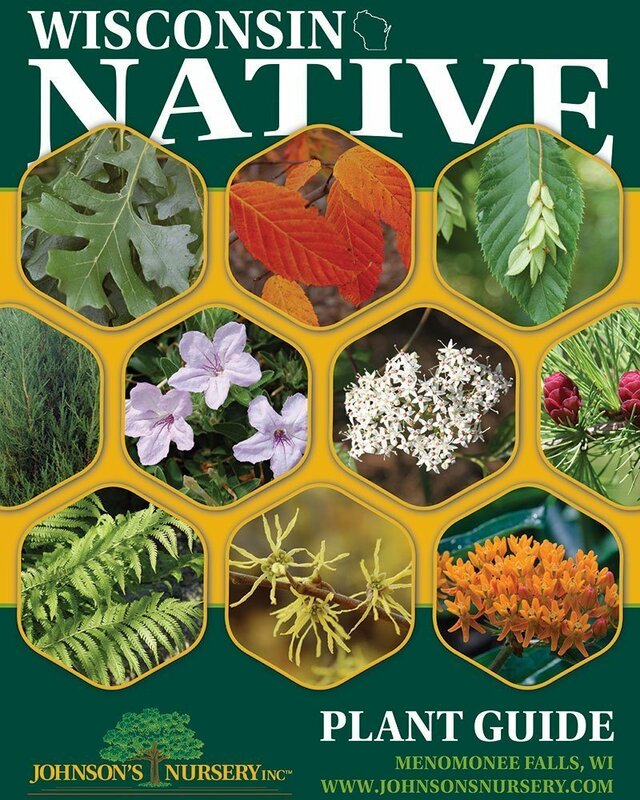 Other companies usually sell native species grown elsewhere from unknown genotypes. They are shipped in to our state by other growers and consumers experience mixed results. We know where our plants come from because almost all of them we've raised from seed, ourselves, in our local conditions. 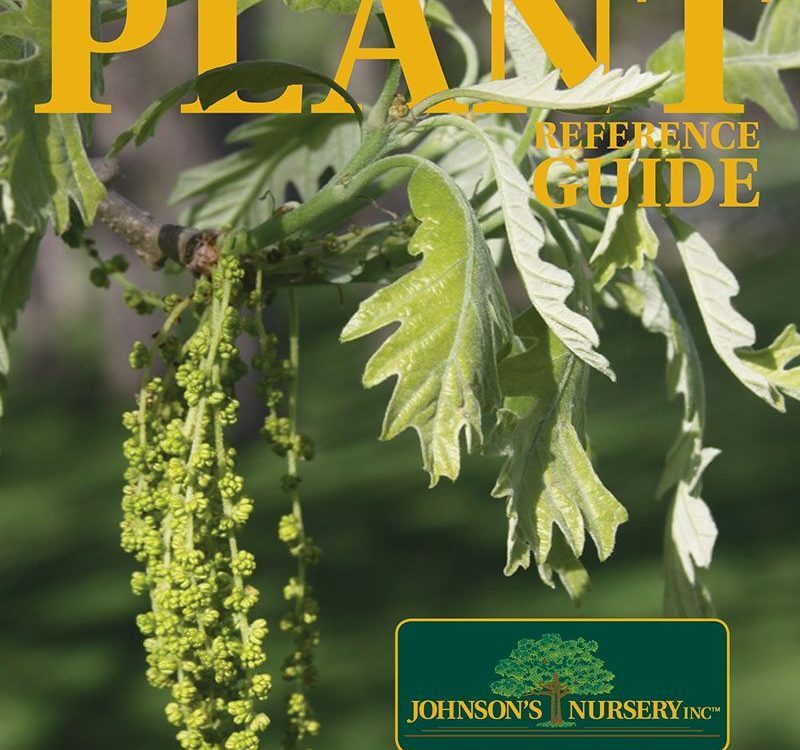 We grow a great assortment of natives, including Bur Oak, Sugar Maple, Musclewood, Ironwood, Aspen, Tamarack, River birch and even American Beech.